Wale drops video for fine girls featuring olamide and davido. Wale knows there's no place like home and he is increasing his presence in the Nigerian music scene. The results have shown collaborations with other stars including Don Jazzy, Olamide, Reekado Banks, Wizkid, Reminisce and Davido. While most of his efforts have been stand-alone singles - Allelu and Drop, Wale has stepped up the heat as he featured Olamide, Davido and Wizkid on his fifth studio album. 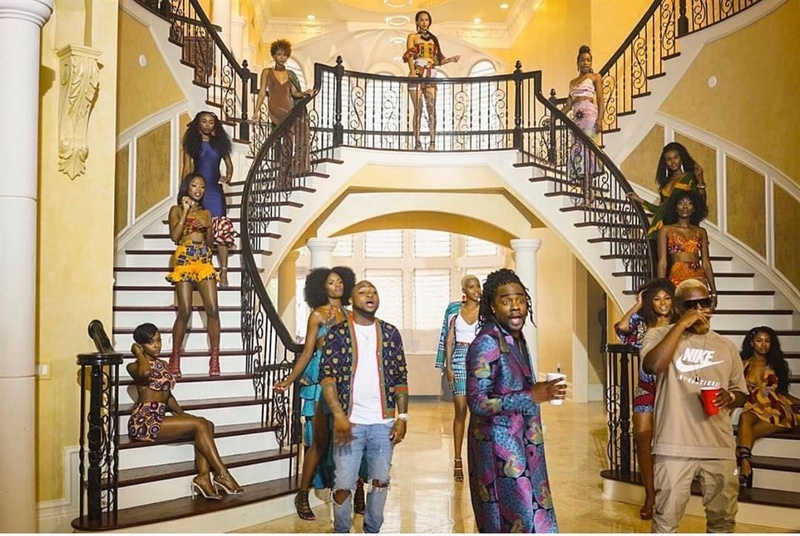 In the video, which was directed by Nigeria’s Patrick Elis and shot in Atlanta, Wale throws a pool party alongside Davido and Olamide with cameos from Chief Obi, Samklef and Kelvin Boj. Samklef and Patrick Ellis are signed to Akon’s Konvict Music.